Whether it’s over the White House or in the way of a plane on a mission to put out a forest fire, drones have a habit of flying where they’re not supposed to. Much of the information of where you’re not supposed to fly your drone is out there, but difficult to find. 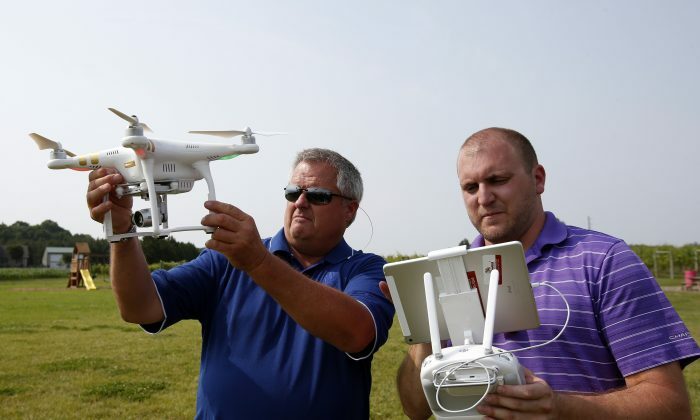 The Federal Aviation Agency (FAA) is planning to make that knowledge a lot more accessible. The agency released a beta version of the new B4UFLY app to 1,000 testers last week that tells you exactly where flying is forbidden. All a drone pilot has to do is tap a location on the in-app map to check whether it’s legal to fly there. If not, the map will show the boundaries of the no-fly zone, such as around airports or downtown Washington D.C. When the drone pilot is in a no-fly-zone, the app will automatically alert the user of the restrictions, such as the need to alert an air control when flying within 5 miles of an airport. The app will offer timely status updates of temporary flight restrictions such as the airspace over wildfires. Over the summer, firefighters in California had to turn around an aircraft carrying water to put out a forest fire because a drone was in the way. The app will also have a flight planner option for future flights in different locations. The FAA plans to release the app, for both iOS and Android, by the end of 2015, although the timeline is flexible. The beta is for iOS only. The full manual for the new app can be read here. Pilot reports of drone sightings so far this year are more than double last year, government regulators say, raising concern about the potential for a deadly collision. In a recent interview, Amazon CEO Jeff Bezos reaffirmed the vision of Prime Air as a the universal delivery platform of the future.